If you were to have visited Siberia 29,000 years ago, you could have crossed paths with a Siberian unicorn according to a recent study published in the American Journal of Applied Sciences. 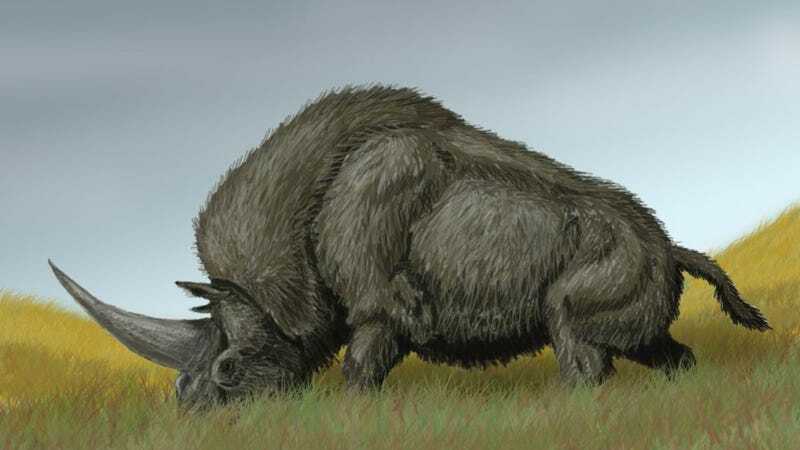 The unicorn, which was actually a type of giant rhinoceros (and which resembles either an adolescent buffalo with a large horn or a buffalo on steroids, depending on which depiction you prefer), was previously believed to have gone extinct about 350,000 years ago. But a new skull discovered in the Pavlodar region of Kazakhstan by researchers from Tomsk State University has moved that date up by more than 300,000 years. Standing up to 6.5 feet tall and almost 15 feet long, the 'unicorn'—otherwise known as Elasmotherium sibiricum—weighed up to 9,000 pounds. According to Forbes, the lone horn could have been multiple feet long. A painting from the 1920s by Heinrich Harder showing what the Siberian unicorn might have looked like. According to Andrey Shpanski, a paleontologist at TSU who worked on the study, the finding can help scientists better understand natural processes over geologic time, including climate change. "Understanding of the past allows us to make more accurate predictions about natural processes in the near future," he said.